The Jazz program operates in limited fashion during marching season (the Fall) with once-per-week rehearsals. There is an informal Holiday Jazz concert in December. When marching season ends the Jazz program ramps up. Jazz A & B rehearse twice a week in the mornings before school with an occasional Wednesday night rehearsal leading up to Festivals. Jazz Concert & Scholar-in-Residence with Adam Rapa, world renowned Trumpeter on May 18, 2017. Adam Rapa directed a Master Class here at Mt. 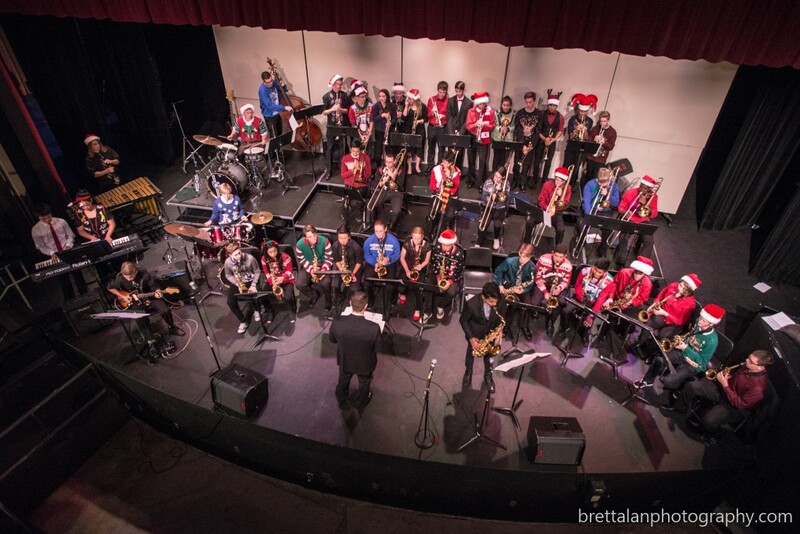 Carmel, then performed with MC Jazz Bands, including a cameo appearance by Christopher Hollyday, legendary Saxophonist. World famous Jazz Trumpeter, Arturo Sandoval performed at Mt. Carmel May 29, 2014. It was a very special concert and offered the opportunity for our Jazz bands to perform with one of the premier trumpet players of our time.